If you're like me, you're probably amazed at all the incredible information coming your way on natural healing. And I see almost all of it - new books, new supplements, new devices, etc. Very few of these new "breakthroughs" warrant too much of my time. But when I find materials that can help you stay away from the doctor and restore you to the health you deserve, I really pay attention. I recently read a book that does just that. My friend and colleague, Rashid Buttar, DO, a medical freedom-fighting physician, recently published a book that definitely merits your attention. It's appropriately entitled "9 Steps to Keep the Doctor Away." Dr. Buttar has masterfully distilled into one source, indispensible information on detoxification, diet, and supplements. But there's a secret bonus in his book. It's Chapter 11. You might be familiar with the huge push for human growth hormone (HGH) as an anti-aging substance. Indeed, it led to the creation and growth of the American Association of Anti-Aging Medicine (A4M).ÿ That organization went nuts over the early studies on HGH. Scores of doctors nationwide jumped into the fray. I did not. I was extremely reserved about pushing the envelope on exogenous injectable hormone therapy, which overrides your body's feedback mechanisms. And, I was correct. Injections of HGH do raise your HGH levels, but at a huge price. HGH injections raise IGF-1, an insulin-like hormone that helps feed cancer. A dream product would stimulate your own production of HGH and lower IGF-1 at the same time. Incredibly, Dr. Buttar formulated a transdermal product that does exactly that! He tells you all about his new product in his book. From everything I've seen this product is very safe. And it has an impressive list of athletes, celebrities, and other patients who have used the product with amazing results. Interestingly, the day before I wrote this Health Alert, a dear trusted friend stopped by my office. She had just restarted Dr. Buttar's product. I asked her about her experience. She's 47, and has suffered from fatigue and lots of stress. She related how the product very quickly lifted her energy, improved her pelvic organs during menstruation, and dramatically kick started her libido. Dr. Buttar points out that his product accomplishes one amazing feat. It raises growth hormone levels while decreasing IGF-1. 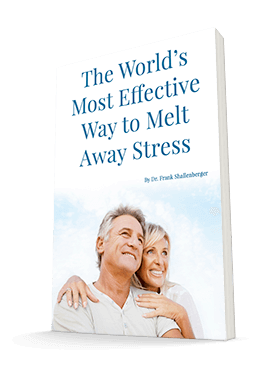 It also lowers cortisol levels, which is important to modulate stress and to slow the aging process. It may well be the optimum way to safely raise your growth hormone levels. That's a feat that has eluded the "so-called" anti-aging group of doctors for more than a decade. I'll be reporting more fully on this amazing product in a future issue of Second Opinion. In the meantime, you can order his new book by calling 800-262-3164.